Contemporary or Modern Interior Design? Do You like Contemporary Interior Design or Modern Interior Design? I have gotten quite a few questions from clients who are confused about the difference between contemporary and modern interior design. A lot of people think they are the same, but really, they are actually quite different. One of them is a term for what the style is in the current moment. The other is an actual style from a time period just like Traditional or Mediterranean. So, what is the difference?! Modern interior design is a timeless style that started in the 1920s. Modern is the actual style from a time period. It is clean and simple with a lot of linear lines. Form follows function was the main concern for modern design. It includes natural resources such as wood, as well as industrial produced materials. This design uses geometric shapes, and asymmetry. Flooring used was hard floors (usually wood) with rugs instead of carpeting. Wall coverings were usually neutral such as white or gray paint with pops of color in the furniture and accessories. The materials were sleek and smooth. 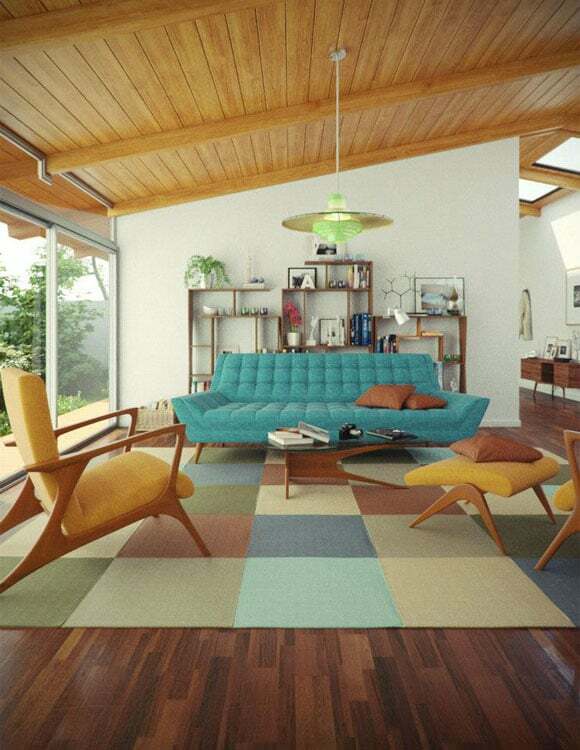 If you look up mid-century modern furniture, you will see what true modernism is. Today, we use modern to speak of terms in the now, however, modern is an actual style that has occurred, and we still see that in today's design. In everyone's defense, we have brought back elements of modernism into today's style which is Contemporary interior design. Contemporary interior design is always changing. What was contemporary last year does not mean it is contemporary today. Contemporary means: existing, occurring, or living at the same time; belonging to the same time. It is whatever the style is during this moment. The design can include whatever is in style right now, and can use styles that are from a different era to be incorporated into it. This creates a more eclectic style. It often incorporates the modern interior design style into a contemporary interior design. A common contemporary design style is modern design incorporated with curves and a softness to balance out the linear modern design. Currently, a contemporary design would have an open space plan with nature incorporated in it (It is kind of a mixture of rustic and modern). Different shapes instead of geometric and linear are also used in today's design. Different materials on the walls or different colors are used instead of a complete neutral palette.